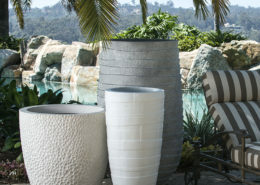 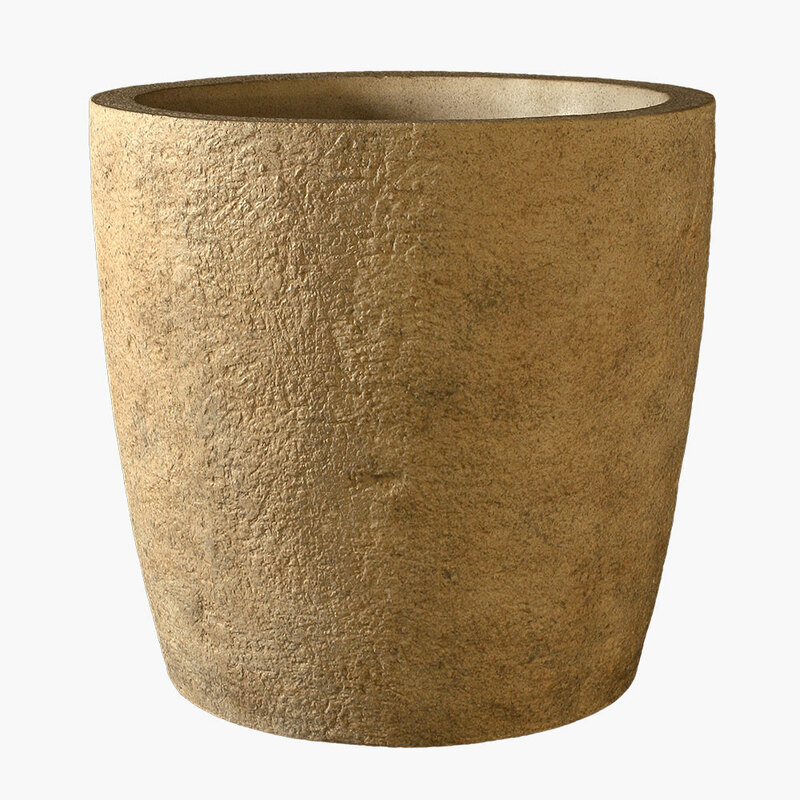 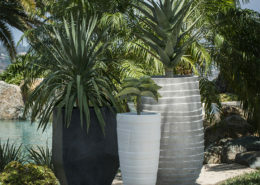 FUSSO Artisan Tall Planters | Outdoor | Stone Yard, Inc.
With a name derived from the “Fusso” region in Northwest Angola, known for its ruggedly beautiful natural landscape, the raw appeal of these expertly crafted tall planters is inspired by the forms and textures found in nature, with all of its course beauty and unexpected lines. 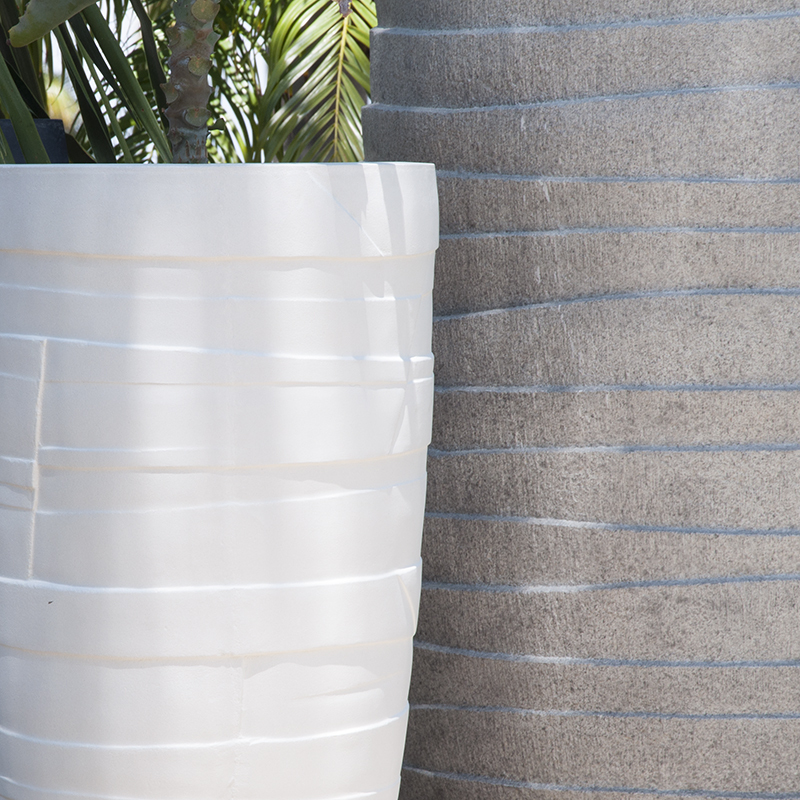 The linear profile of the long-lined Fusso planter is beautifully contrasted with its unevenly carved, palm tree-like silhouette. 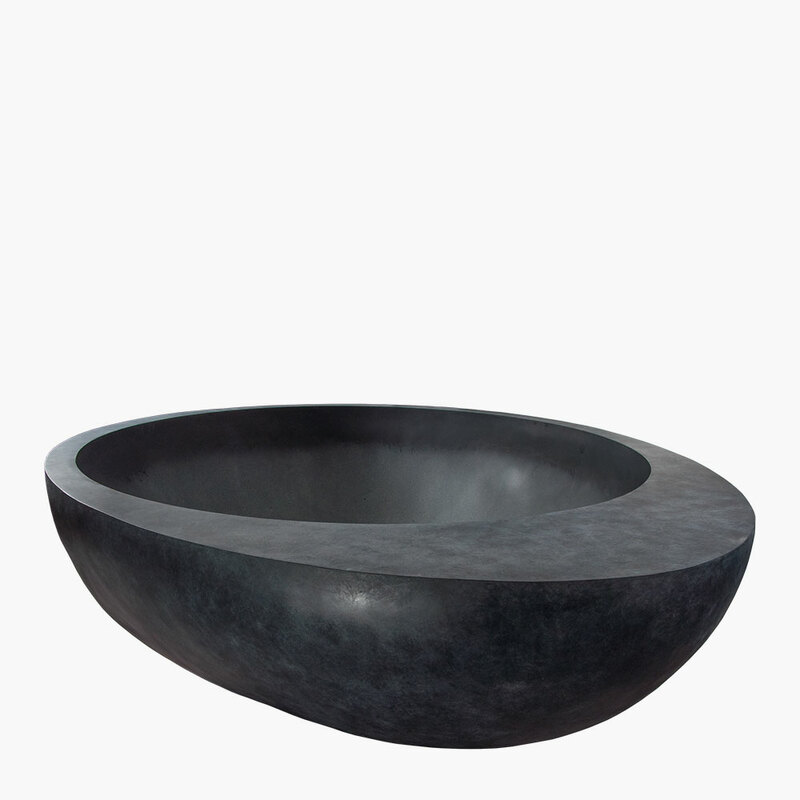 Add dimension to your interior or exterior décor with these handcrafted and hand-finished custom planters, which are available in a variety of sizes, including stylish low bowls. 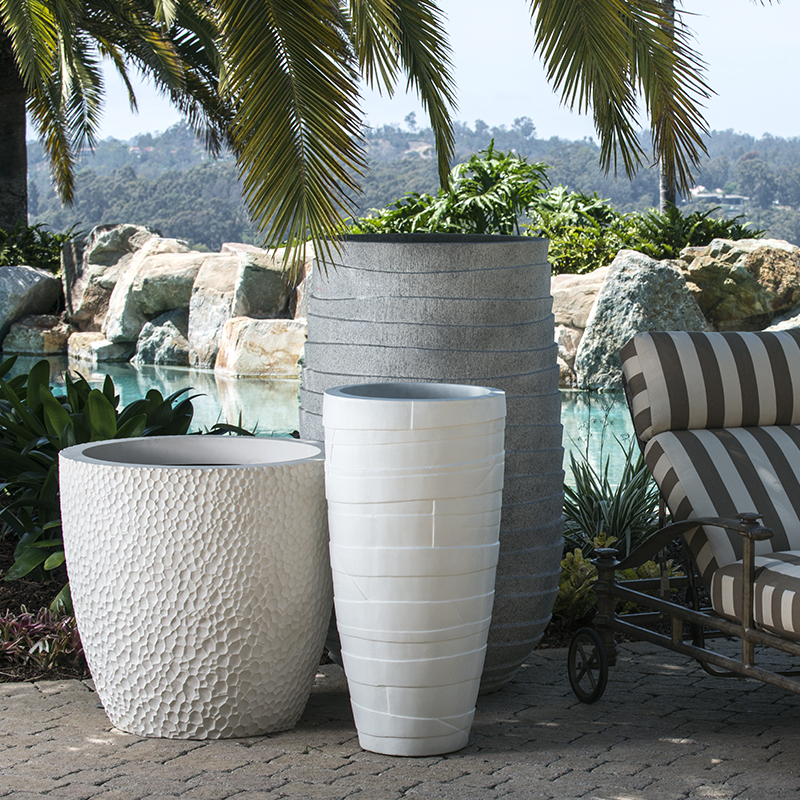 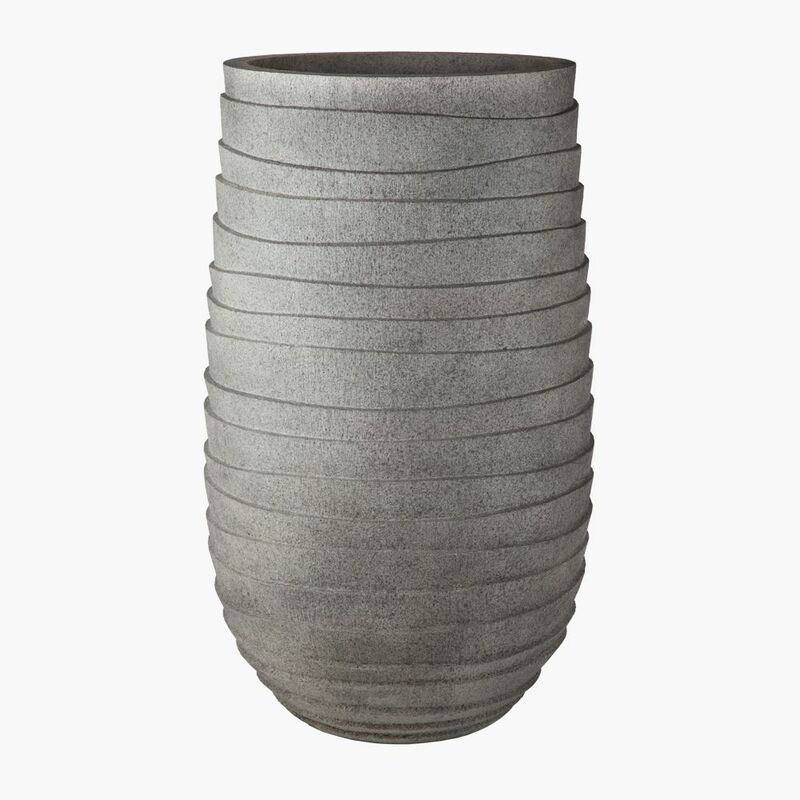 Molded by hand with Fiberstone or GFRC, both of which are innovative materials that look and feel like stone but are a fraction of the weight and easier to transport, these chic planters can live indoors or out. 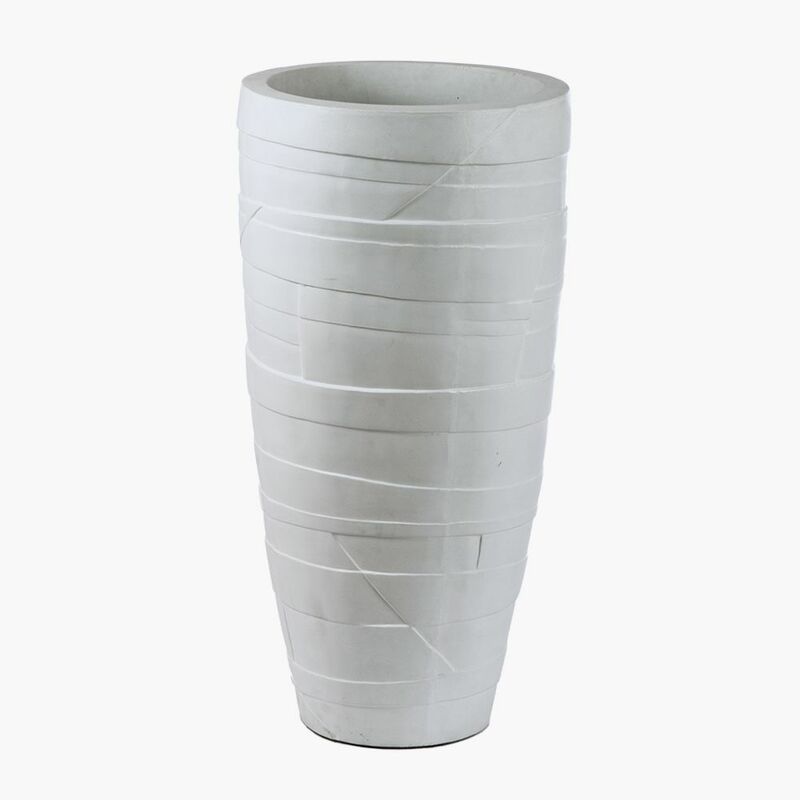 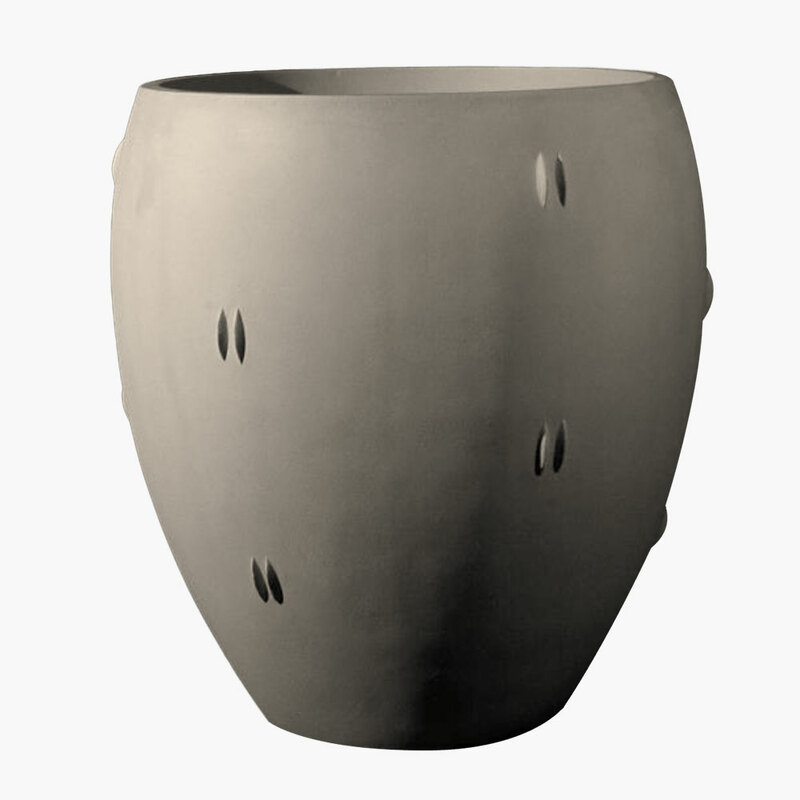 Constructed to withstand extreme climates without being damaged, the handcrafted Fusso planter is high impact both in style and durability. 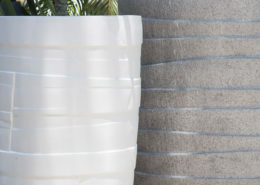 Irregular lines and an earthy texture balance out the slender, contemporary profile of these artisanal planters. 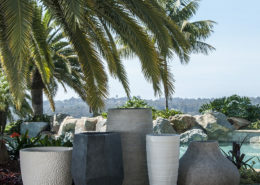 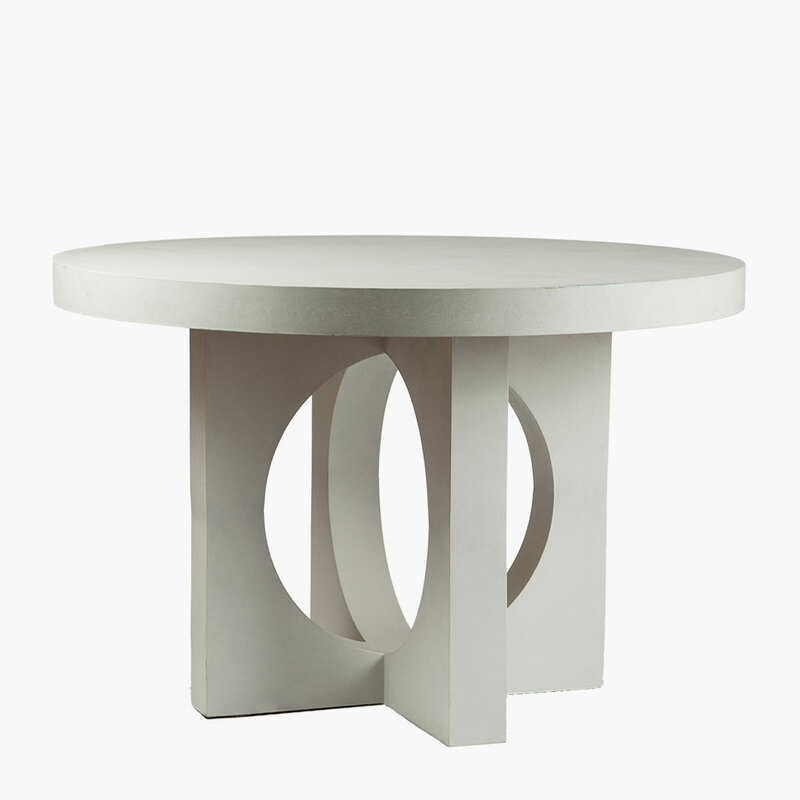 And since, like all of our custom furnishings, every planter is hand- finished by expert craftsman in careful layers of the color of your choice, from light Natural and Chenza to darker hues like Terron and Oxido, each one becomes a one-of-a-kind piece. 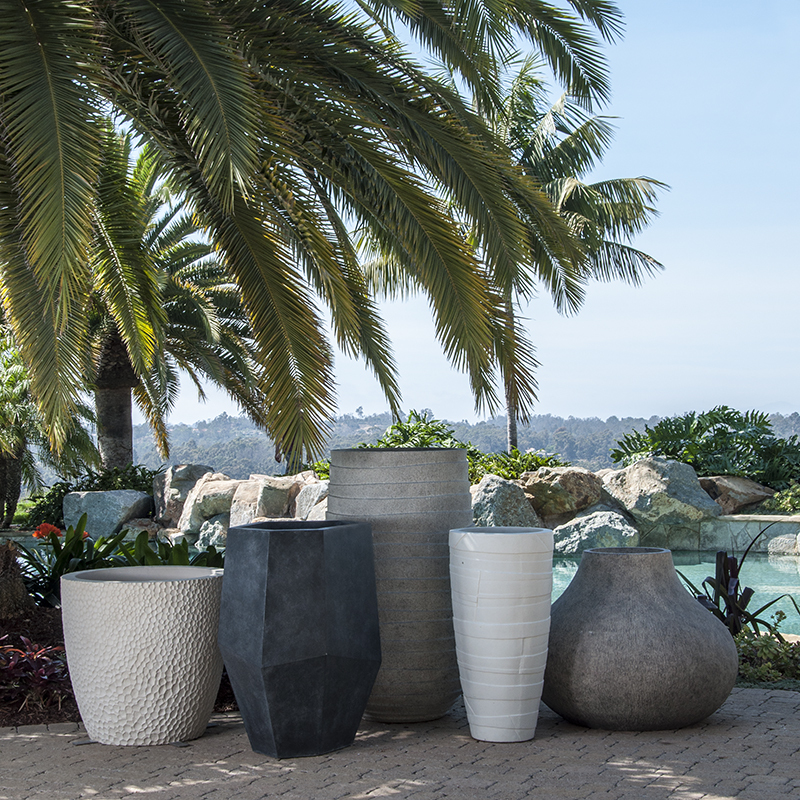 Add in some vibrant plant life and make an eye-catching display perfect for flanking doorways, decorating entryways, lining pools, and adding visual dimension to any space. 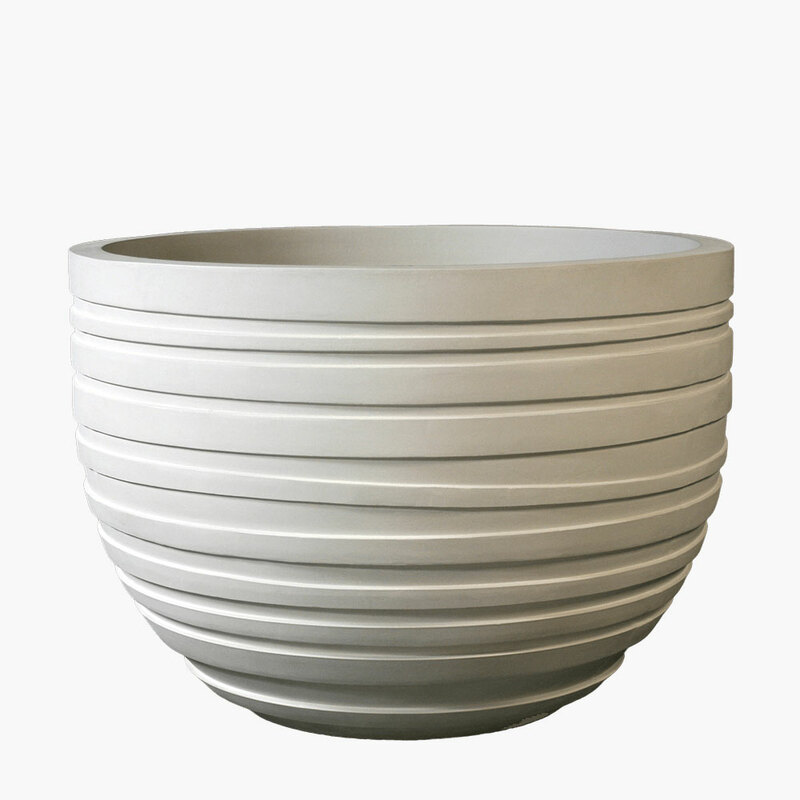 The sleek, slim-lined design of the Fusso lets you build up with your décor, leading the eye upward while at the same time grounding the design with its nature-inspired, uneven ridges. 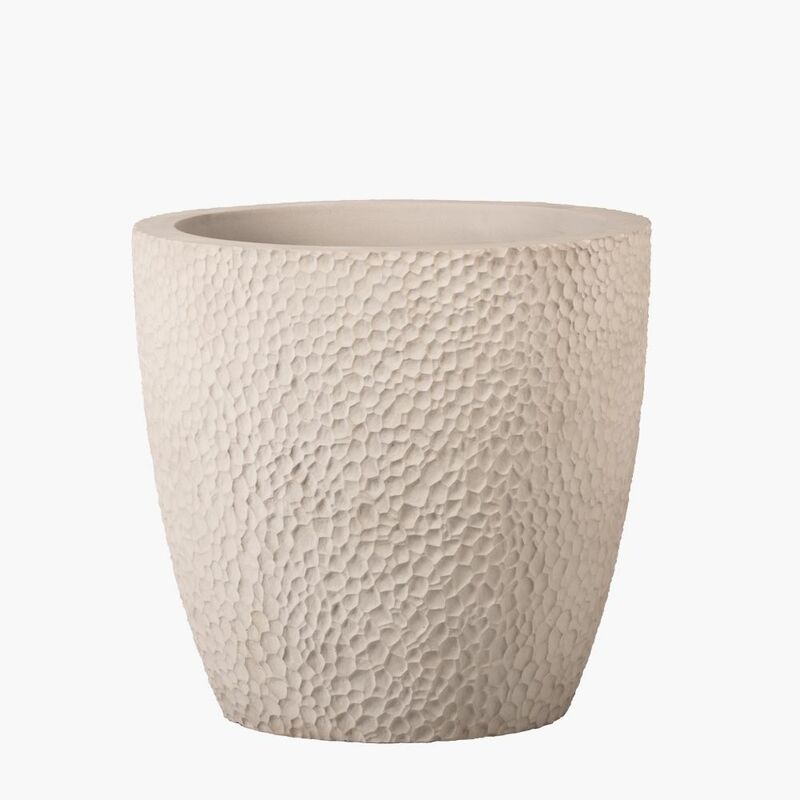 Cluster them, showcase one on its own, or place it within a mix of textured planter designs—whatever placement you choose, the Fusso works as a perfect natural accent. 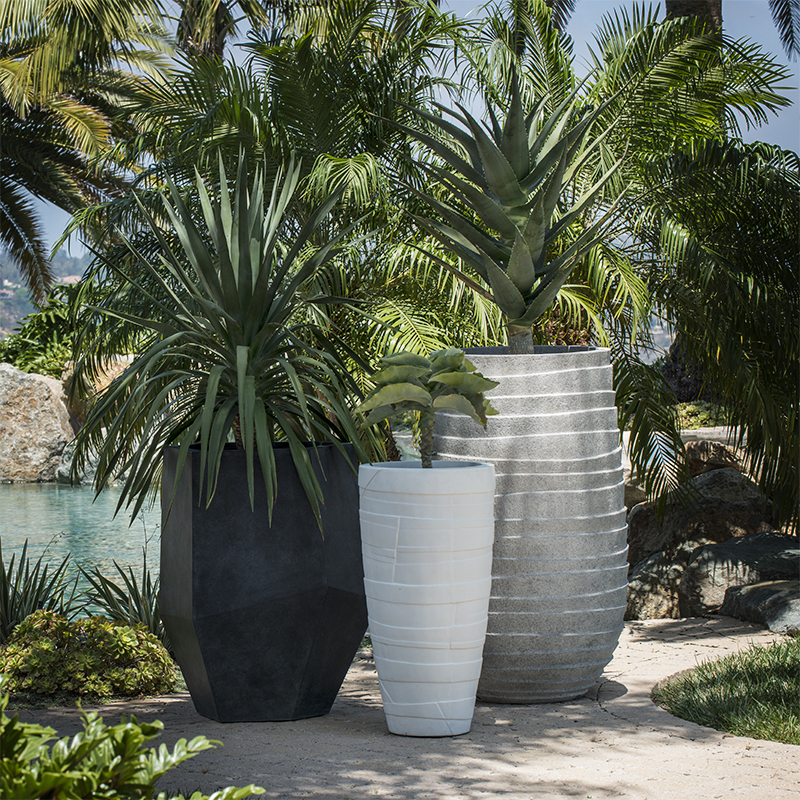 Palms, tall grasses, and other tropical foliage are the ideal complements for this rustic yet sophisticated planter profile.